For nearly 40 years since the Islamic Republic’s 1979 revolution, ending a generation of US-installed fascist tyranny, Iran withstood the effects of multiple rounds of illegal US sanctions. This time will likely be no different, Iran seeking ways to overcome unacceptable Trump regime harshness against the country – perhaps in the end to have only a modest effect, far short of US aims. It’ll let Iran bypass the Society for Worldwide Interbank Financial Telecommunication (SWIFT) financial transactions system to continue financial transactions with EU countries unobstructed. “(W)e have committed to work on…the preservation and maintenance of effective financial channels with Iran, and the continuation of Iran’s export of oil and gas” – together with Russia and China. Washington granted eight countries waivers to keep buying Iranian oil. What a US source called temporary could become permanent ahead. The unnamed countries are believed to include China, India, Turkey, Japan, South Korea and Italy. On Friday, Trump regime Treasury Secretary Mnuchin said all sanctions lifted under the JCPOA will be reimposed on Monday, November 5 – unilaterally and unlawfully, he failed to explain. 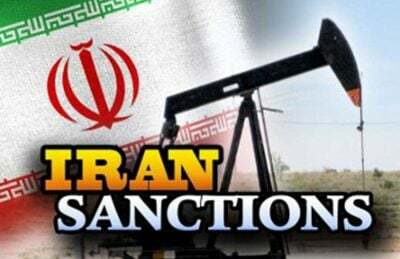 Around 700 Iranians will be blacklisted, sanctions also targeting financial transactions through the EU’s Special Purpose Vehicle to let Tehran bypass SWIFT. Will Trump regime “maximum pressure” on Iran work, given world community opposition to its unilateral and unlawful actions? For decades, hostile US actions against the Islamic Republic failed. If past is prologue, the same is likely ahead – despite likely all-out Trump regime efforts to impose harshness on the country. Nor will US sanctions deter the country’s legitimate development of defensive weapons, or its regional activities with other nations, Mousavian believes – including its involvement in helping Damascus combat US-supported terrorists.